Bernie Sanders is currently on a “Democratic unity tour” which included a stop over in Omaha to support mayoral candidate Heath Mello, who is both a Democrat and has a history of supporting legislation against abortion rights. “The actions today by the DNC to embrace and support a candidate for office who will strip women – one of the most critical constituencies for the party – of our basic rights and freedom is not only disappointing, it is politically stupid. Today’s action make this so-called ‘fight back tour’ look more like a throw back tour for women and our rights. “If Democrats think the path forward following the 2016 election is to support candidates who substitute their own judgement and ideology for that of their female constituents, they have learned all the wrong lessons and are bound to lose. It’s not possible to have an authentic conversation about economic security for women that does not include our ability to decide when and how we have children. Hogue finishes by saying that this tour won’t be uniting anyone if it turns its back on these issues. “It will only set back women’s fundamental rights and freedoms,” she added. “Planned Parenthood Voters of Nebraska has never endorsed Heath Mello for public office nor has Planned Parenthood Voters of Nebraska given Heath Mello a 100% rating, as some media outlets have erroneously reported,” the group said in a statement. There are also no other Democrats competing against Mello, so if the citizens of Omaha want a Democrat mayor, this is the guy. “The truth is that in some conservative states there will be candidates that are popular candidates who may not agree with me on every issue. I understand it. That’s what politics is about,” Sanders told NPR. 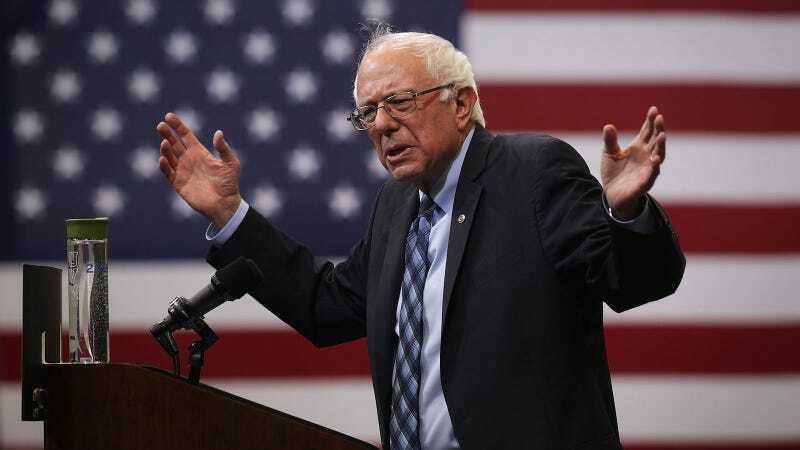 In that same interview, Sanders blamed the recent losses by Democrats on “the failure of the Democratic Party to have a progressive agenda, to bring people into this party, to mobilize people.” Right now, Sanders has mobilized the DNC to deny any involvement in this whole mess, with staffers saying the idea to hold a rally for Mello was entirely Sanders’s idea.